If you follow my blog, you know that I have been clipboard crazy lately. I made a Clipboard Gallery Wall. I made miniature clipboards for the Christmas tree. I have been using clipboards in my vignettes. Here's part of my Valentine's Day Mantel. 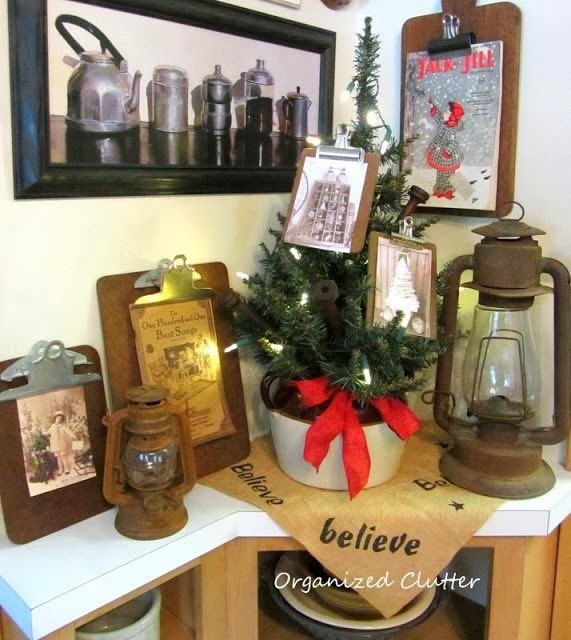 I also used clipboards in a Christmas vignette. And I made an old breadboard into a clipboard. 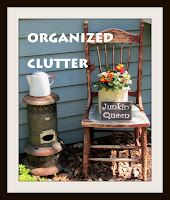 Today I am copying a clipboard idea from Mamie Jane's blog. 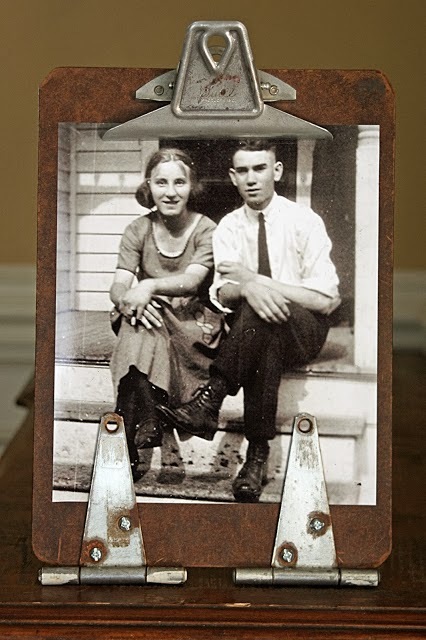 Here Jane added a couple of strap hinges to make her clipboard into a photo easel. The clipboard stands by itself, and looks cool too. I thought that this vintage Everflex industrial clipboard I found recently would combine well with the strap hinges. So I drilled holes for some short but thick bolts and added the nuts on back. Then I added a black and white photo of some of my ancestors on the farm, and stood the clipboard on the corner counter in my kitchen. This looks so great, Carlene...love the addition of the hinges! I have some folding metal medical clipboards that I like to use with clips for clipboard displays! The displays look amazing and what a clever use of the hinges too. Now that is a fun project! I love the idea of the hinges! I think the photo of your ancestors is absolutely fabulous! Love what you did with the clip boards!! I just might have to steal my hubby's old clip board.